Combination Tester, Computer Interfaced Testing, Tests each foot and wrist simultaneously and individually in one test (dual wrist strap testing). Takes only 3 seconds, use a magnetic stripe, bar code or proximity reader to test, record and print or email data for up to 30,000 employees, sortable test results, no more log books!!! Accepts and displays international dates and times, Software and employee information can be password protected, conforms to EOS 20.20 and european standards, CT-8998EC ethernet converter allows for one-computer use! 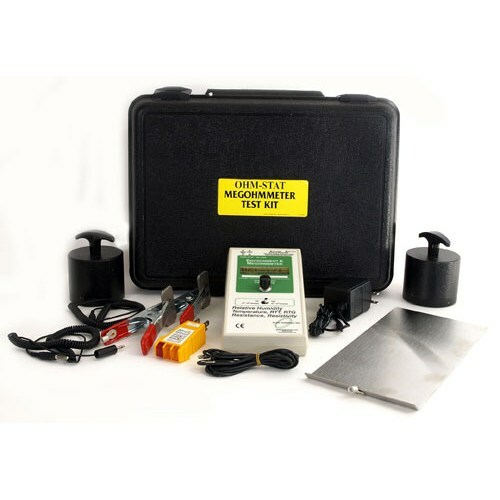 Automatic calibration, adjustable resistivity limits, compatible with Microsoft 95, 98, ME, WINNT, Windows 2000, and Windows Vista operating systems. Upgrades to allow electronically locked doors to open or bells to ring when users pass test. NIST certificate available.